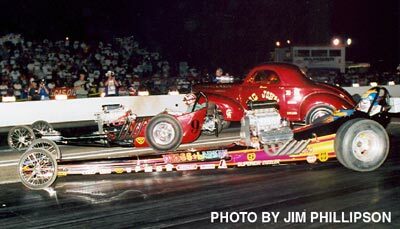 It doesn't happen often but in the late 60s and early 70s So Cal drag racing had two Tommy Larkin's. 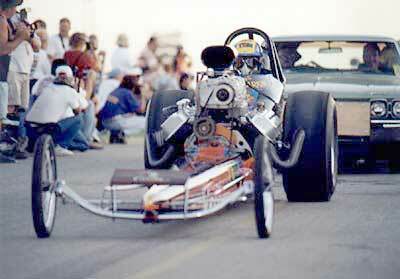 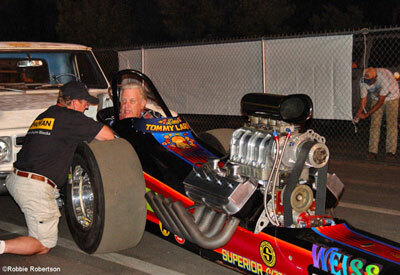 Tom Larkin ran and set many records in Top Gas and Top Fuel ... and built blowers, "Little Tommy" Larkin focused on the Top Gas class (and later in Pro Comp). 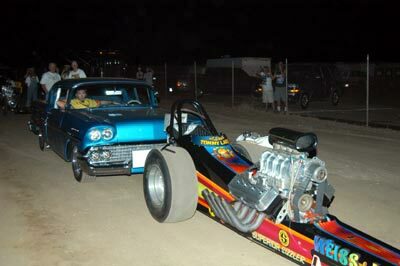 This cacklecar was owned by the latter when he teamed up with the late Al Weiss in 1969. 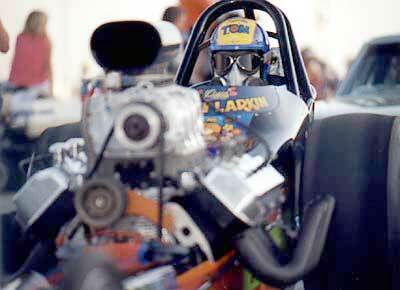 Larkin was a top driver and Weiss an ace engine builder and tuner. 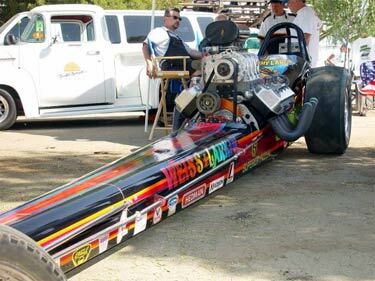 The duo did quite well on the regional level and even more success when they made the transition to the rear engine configuration. 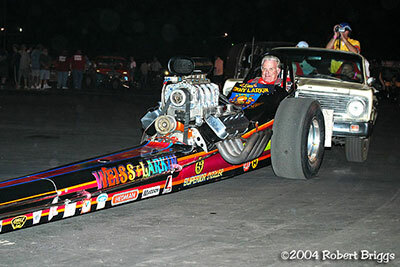 At this time we have no photos of the car in its Weiss & Larkin trim. 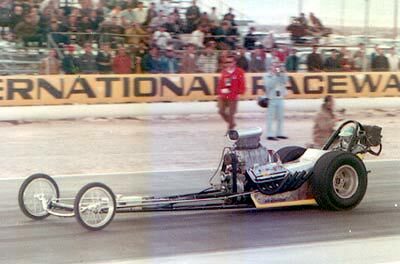 However, this is Larkin (pre Weiss) at Phoenix in 1969. 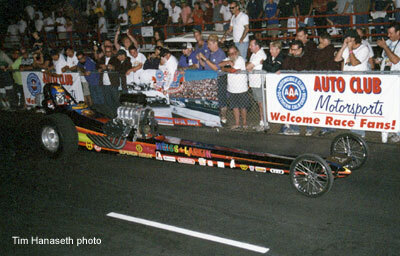 When Weiss came onboard a nose piece and new paint scheme was added. 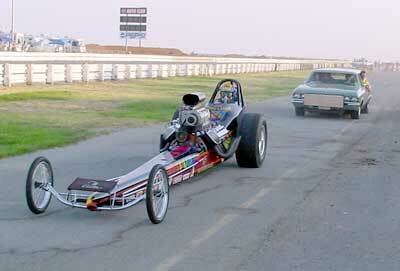 The restoration of this car may have been the easiest and cheapest of any on record. 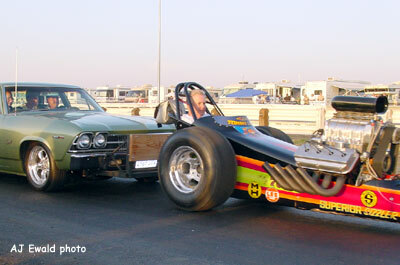 Larking found the car in 2000, under wraps, and virtually untouched from its last race in 1971. 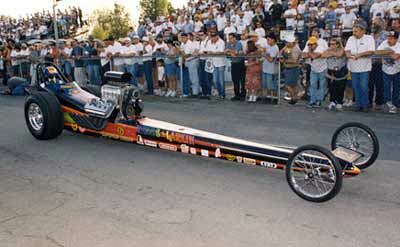 It was purchased by Tom's friend, Tom McIntyre and the paint was rubbed out and waxed. 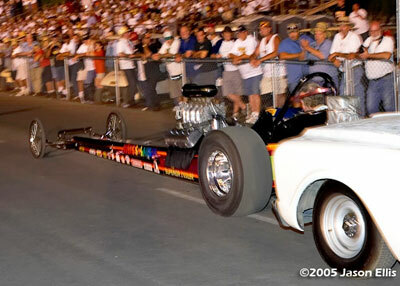 A cast iron 392 was put back into the frame rails and it was off to the 2001 CHRR. 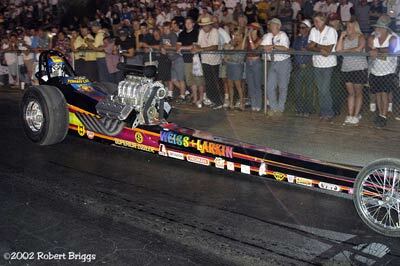 Larkin made is Cacklefest debut in 2001 and had been on hand every CHRR since. 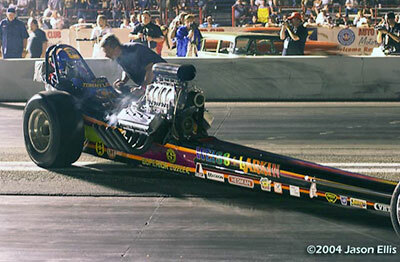 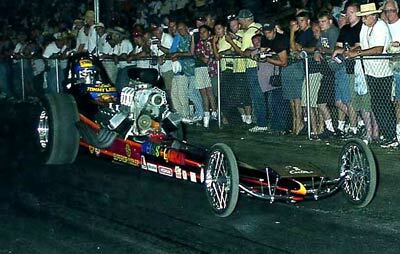 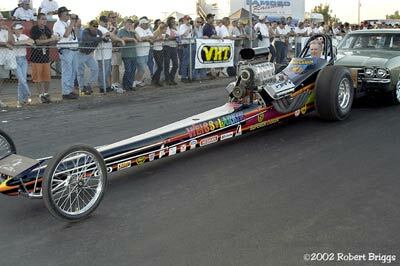 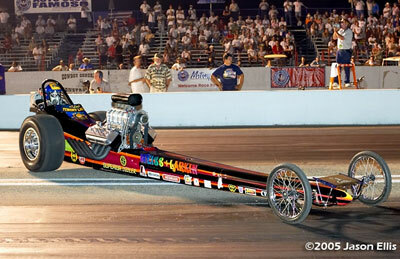 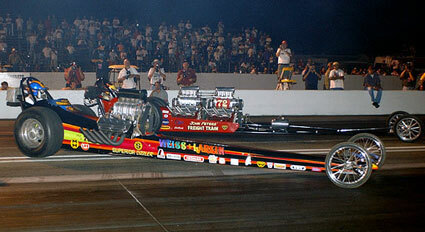 Although this was a Top Gas car Larkin runs an undisclosed percentage of nitro for Cacklefest IV. 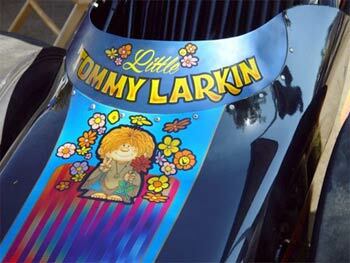 In spite of some serious health problems, Larkin made another appearance at Cacklefest VI. 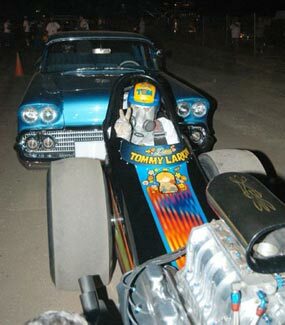 Tommy in his element and hopefully he will continue to make his yearly CHRR appearances.